Kevin Cafferty played drums in California's metal outfit Steel Prophet. The first time he played in Steel Prophet was when drummer Pat McGrath (ex-Prototype, Riot, Killing Culture) decided to leave the band after the release of "Dark Hallucinations" (1999). Kevin Cafferty was featured on the Messiah album (2000), but left afterwards. 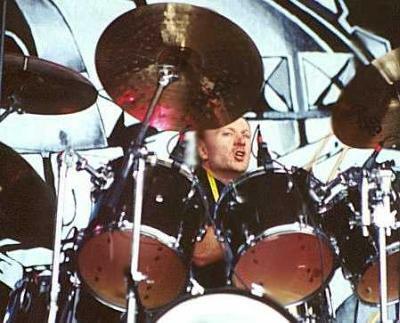 In March 2004 Cafferty returned, replacing drummer Karl Rosqvist who had decided to part ways with the band. In October of the same year Cafferty left the band for a second time, along with guitarist Pete Skermetta and bassist Vince Dennis. Kevin Cafferty was replaced by Gene McEwen.